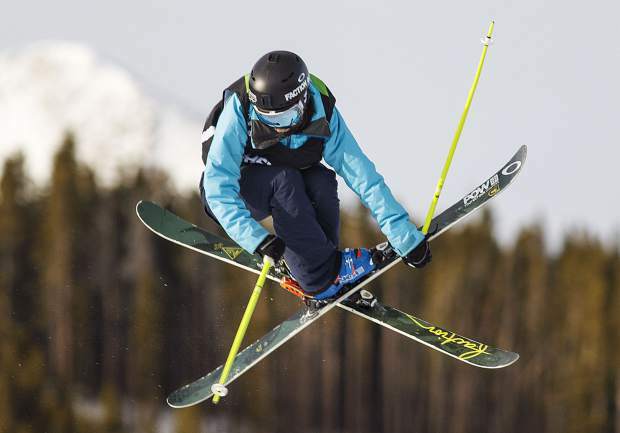 Henrik Harlaut of Sweden competes in the slopestyle finals during the Dew Tour event Saturday, Dec. 16, at Breckenridge Ski Resort. Harlaut took home first with a high score of 95. Sarah Hoefflin of Switzerland competes in the slopestyle finals during the Dew Tour event Saturday, Dec. 16, at Breckenridge Ski Resort. Hoefflin took home third with a high score of 416. Darian Stevens of United States competes in the slopestyle finals during the Dew Tour event Saturday, Dec. 16, at Breckenridge Ski Resort. Nick Goepper of United States competes in the slopestyle finals during the Dew Tour event Saturday, Dec. 16, at Breckenridge Ski Resort. 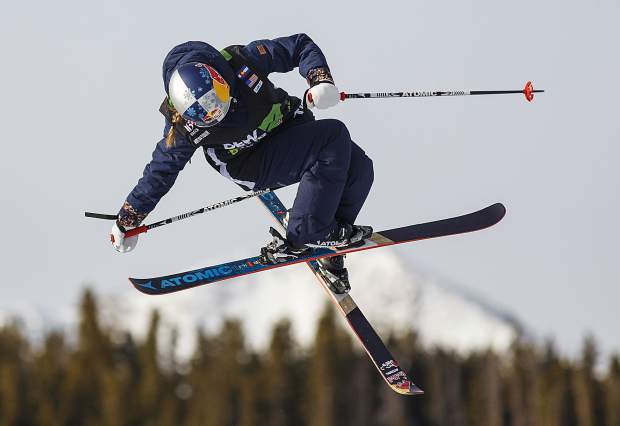 Goepper took home second with a high score of 92. 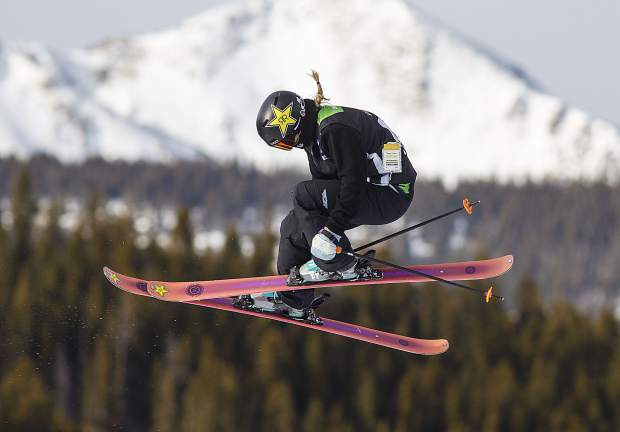 Tess Ledeux of France competes in the slopestyle finals during the Dew Tour event Saturday, Dec. 16, at Breckenridge Ski Resort. 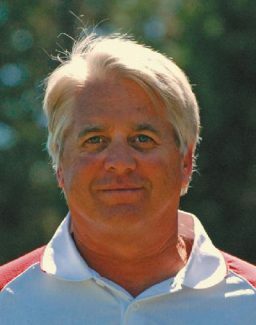 Ledeux took home second with a high score of 89. Johanne Killi of Norway interacts with colleagues following the slopestyle finals during the Dew Tour event Saturday, Dec. 16, at Breckenridge Ski Resort. Killi took home first with a high score of 90. Maggie Voisin of United States competes in the slopestyle finals during the Dew Tour event Saturday, Dec. 16, at Breckenridge Ski Resort. Henrik Harlaut of Sweden reacts following his strong secong run in the slopestyle finals during the Dew Tour event Saturday, Dec. 16, at Breckenridge Ski Resort. Harlaut took home first with a high score of 95. Johanne Killi of Norway competes in the slopestyle finals during the Dew Tour event Saturday, Dec. 16, at Breckenridge Ski Resort. Killi took home first with a high score of 90. 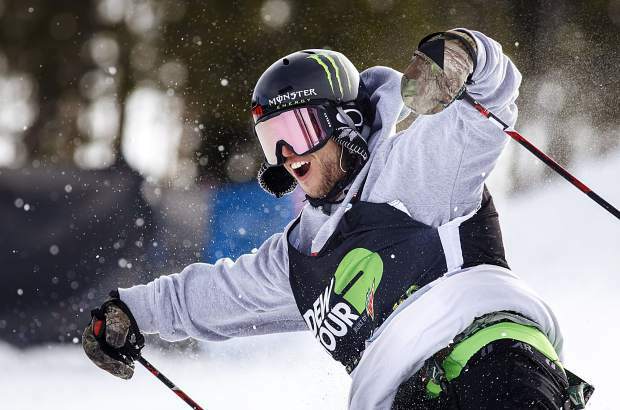 In between the excitement of finishing second in the Dew Tour ski slopestyle final and fielding questions from reporters, Nick Goepper was able to sneak in a phone call. After he settled into his seat at the far corner of the press center at One Ski Hill Place, this was a return dial to his father, who had rung Goepper to congratulate the 23-year-old slopestyle veteran on his 92.00 run. 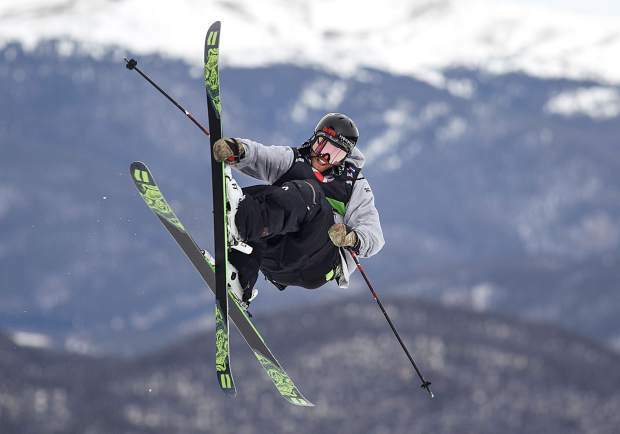 Goepper was the lone American to podium Saturday from a group of seven U.S. freeskiers who all were taking to the four-jump slopestyle course at Breckenridge Ski Resort to improve their standing in the Olympic qualification race. 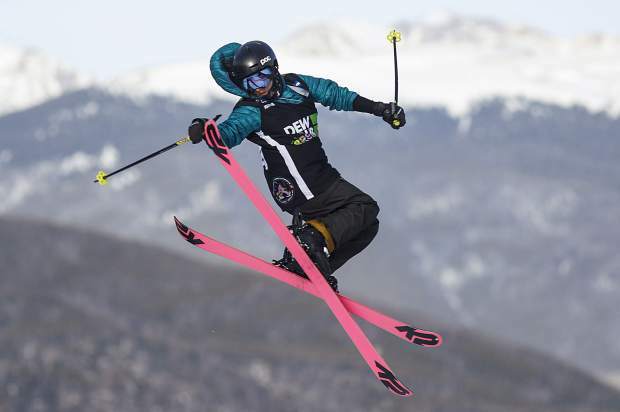 Goepper took the most sizable step on an early afternoon that quickly went from cloudy to sunny, as several of his American teammates lost their skis and took tumbles on the Dew Tour course. Alex Hall was the next closest American, in fifth place with an 89.66, while Gus Kenworthy was able to string together an 87.66 run to take sixth place. The other four Americans finished in eighth place (Bobby Brown, 77.66), ninth place (Cody Laplante, 64.66), 11th place (Colby Stevenson, 22.33) and 12th place (McRae Williams, 11.00). 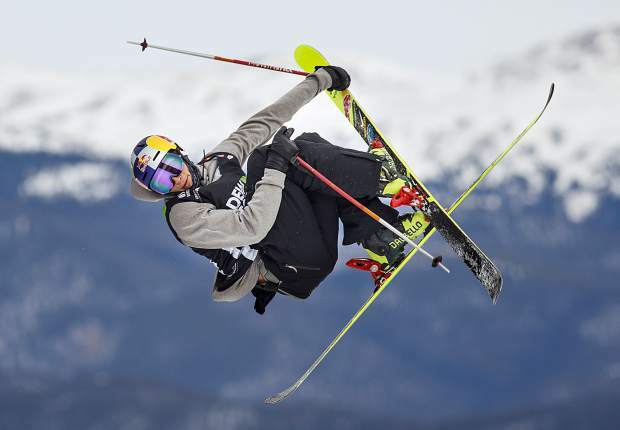 Goepper, who is a three-time X Games ski slopestyle gold medalist, said he skied at “98 percent” Saturday. And though he didn’t approach his runs with Olympic selection in mind, the 2014 Sochi slopestyle bronze medalist said reaching the podium does ease the pressure off of him heading into the remaining Olympic qualifiers. Goepper, who qualified in first place prior to Saturday’s final, was runner-up to happy-go-lucky 26-year-old veteran Henrik Harlaut of Sweden. Harlaut brought his customary free spirit and dance moves to the Dew Tour slopestyle course, the features of which he described as “super, duper, ultra awesome.” Harlaut commended Breckridge and the Dew Tour for building the four-jump course, as he said the layout with rails in between jumps broke up the course well and provided athletes with a chance to catch their breath between big moments. 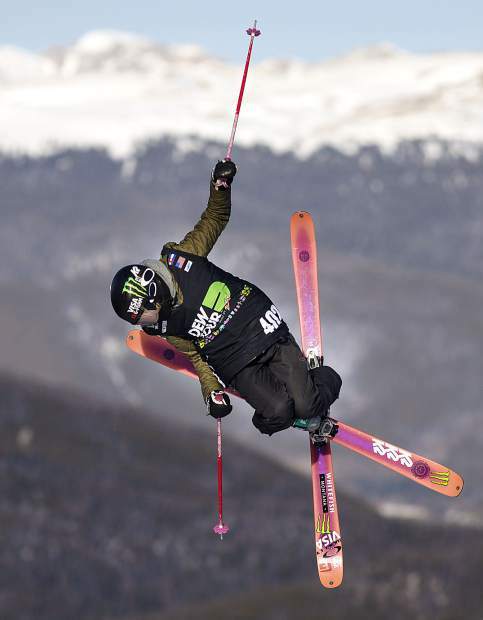 On an afternoon when not a single American woman finished on the podium, it was Norwegian freeskier Johanne Killi who won the Dew Tour’s women’s ski slopestyle championship Saturday afternoon. The 20-year-old two-time Winter X Games slopestyle bronze medalist Killi took the title via a run that included a back swap continuing 270, a switch on 450 out, a right 540 Japan, a switch right 540 double Japan, a slide to switch, a switch on front swap to switch, a switch left 5 Japan and a left 9 tail. The 90.00 run was so clean that it was the only run of the competition that earned a score in the 90s. And in the press center afterward, she echoed her fellow slopestyle champion Harlaut about what made this year’s Dew Tour course special. Tess Ledeux of France (89.00) finished just a point behind Killi for second place while Sarah Hoefflin of Switzerland scored a 84.00 on her final run to clinch third place. 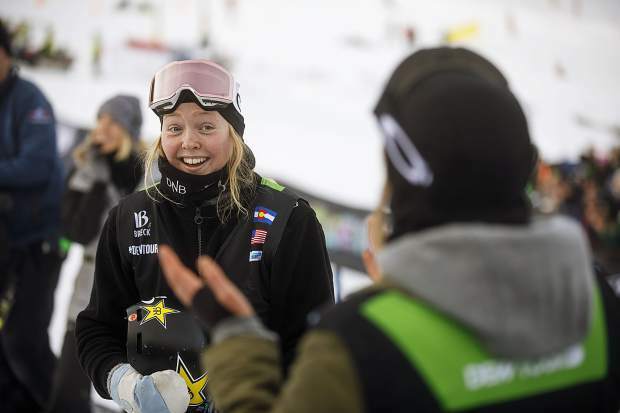 Two days after her 19th birthday, American Maggie Voisin had the highest score of any U.S. team members on the day, taking fourth place with an 83.00. 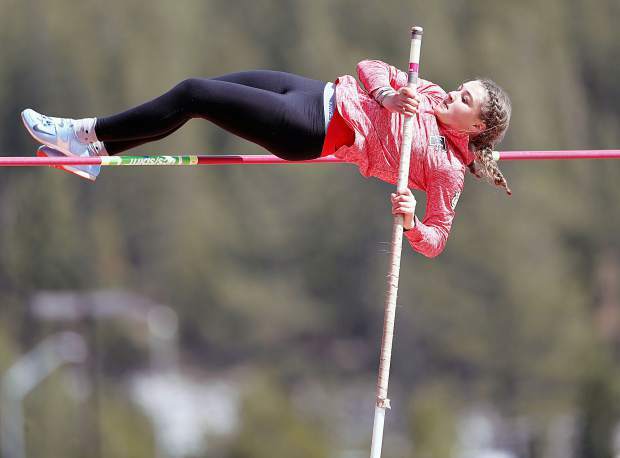 Her fellow Americans Darian Stevens (72.33) and Devin Logan (39.33) finished in seventh and eighth places respectively.